Twitter users have heard of #WCW, which stands for Woman Crush Wednesday, but there's a new topic spreading across the social network. Apparently, the hashtag #WhiteShirtWednesday is now a thing. It even has it's own Urban Dictionary entry. Weird. Anyways, thanks to Tom Hiddleston wearing white shirts, the hashtag is becoming much more popular. Hiddlestoners are sharing photos of the beloved Avengers star in white shirts with the hashtag #WhiteShirtWednesday, and apparently this has been happening for some time now. Who knew! I happened to stumble upon it during my daily search for Tom Hiddleston info, because who doesn't do that? Anyways, I can't blame the actor's biggest fans for wanting to celebrate him in every way possible. I mean, he is pretty spectacular. Is participating in #WhiteShirtWednesday a bit too much? Maybe... but, hey, Hiddleston's fans support him no matter what. How can you argue with a fan base who wants to show their favorite actor all the praise in the world? Plus, this just means all of those (myself included) who can't get enough of the I Saw the Light actor can stare at him in crisp white shirts, which he wears extremely well. 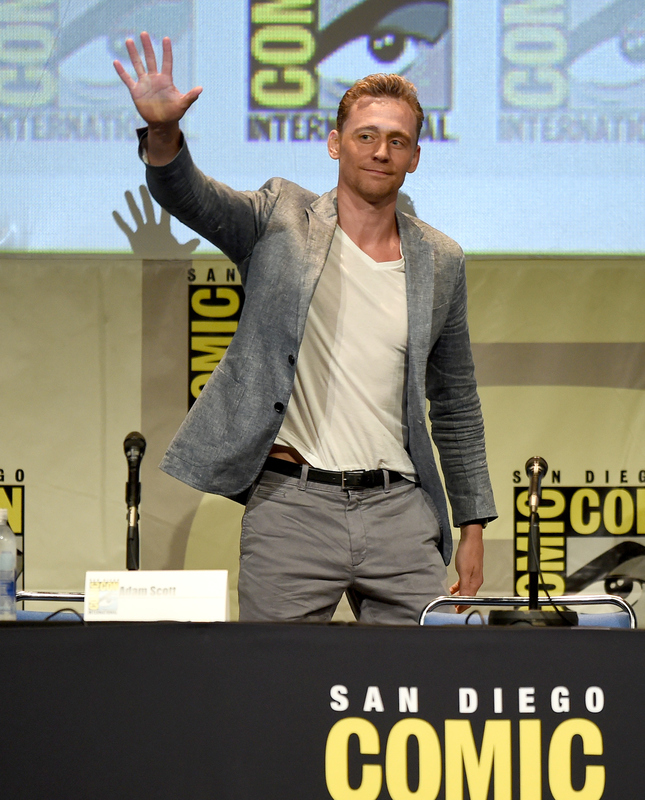 What better way to enjoy Hump Day than by browsing through pictures and gifs of Tom Hiddleston? Yeah... there isn't one. Now, take some time out of your day to look at T. Hiddles in white shirts.